Hello, I wanted to show you a cute baby gift idea for documenting all those 12 month bundle of joy milestones. This is exactly what every new mommy needs, along with sleep. Am I right? This is the gift that keeps giving! 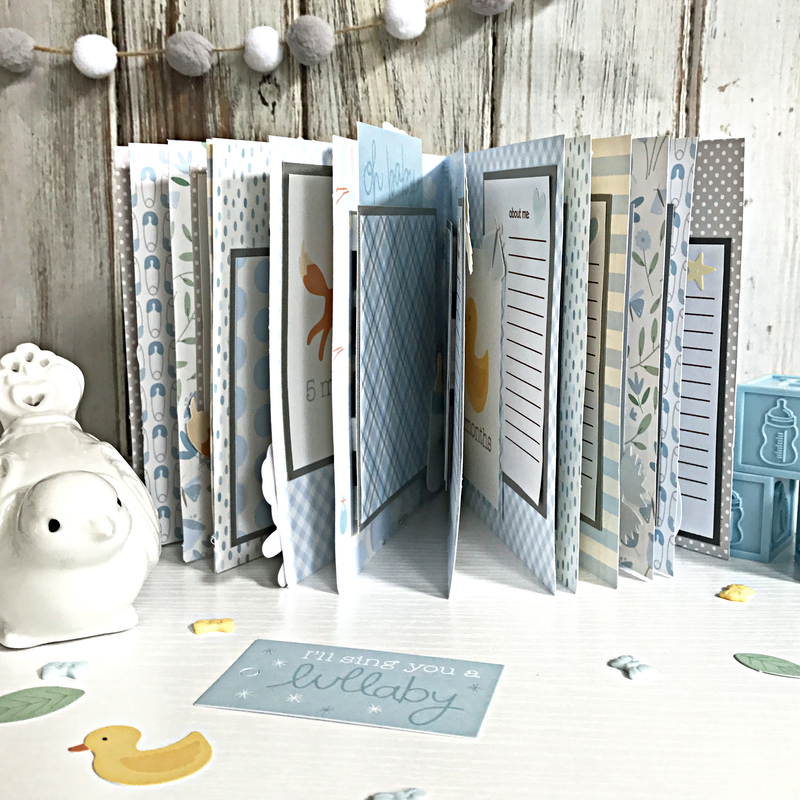 Included in this is an album with a page for each month, a spot for a photo and journaling prompts. 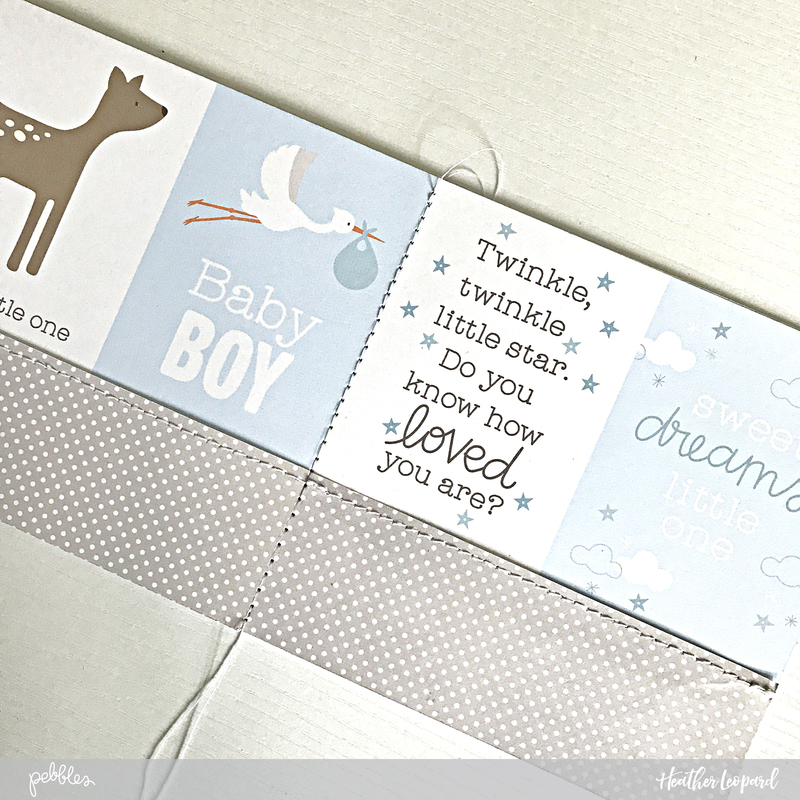 You can also include the Lullaby collection monthly stickers for the parents to apply to onesies. Simply pull out the sticker for that month, apply to the onesie, snap and print a photo of precious baby and voila! You've documented the month and now your photo perfectly matches the mini album. Easy breezy! 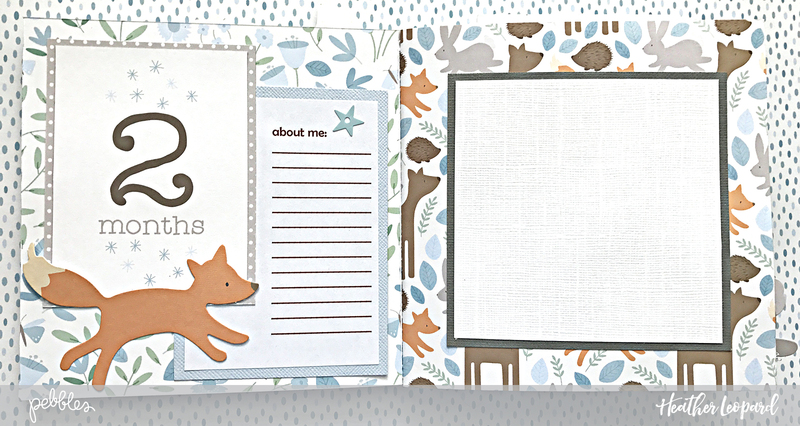 To get started, I used patterned paper printed with journaling cards for the cover. I cut it to 6" x 6". Of course that meant that the bottom was cut through half of the design. My easy solution was to add a paper strip to the bottom to cover that up. I stitched it with my sewing machine before adhering it to the cover so the stitching would show through the back. This also made a great spot to add the baby's name. Next, I cut the inside pages. I suggest you cut these slightly smaller than the cover so the edges of the pages don't stick out when you fold it in half. Now you are ready to start decorating the pages. 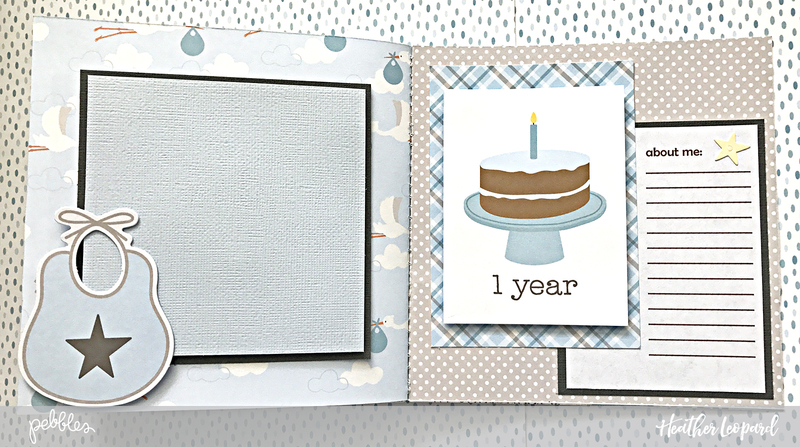 The monthly 2" x 3" patterned paper cards are perfect for this. You can download the "about me" template I used HERE. You can see each of the pages above. 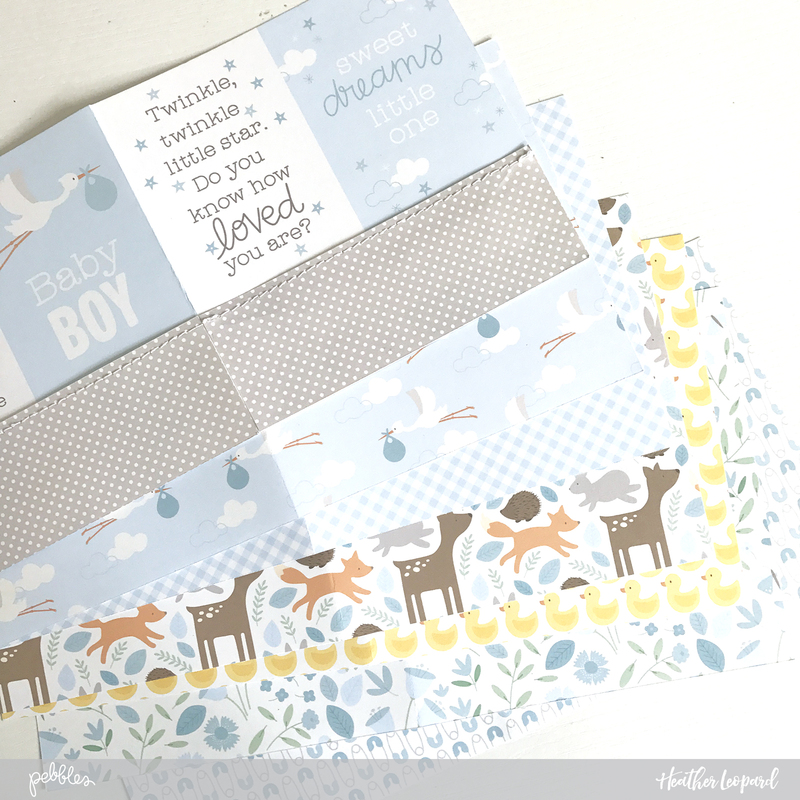 I also included a spot for when the baby is born on the inside cover as well as a gender reveal card and a pocket for additional notes. And once this sweet little bundle of joy turns one, this is the perfect spot for a cake smashing photo! So there you have it. I can't wait to gift this to my friend, who's having her baby this month! I hope she treasures it as much as I enjoyed making it for her. 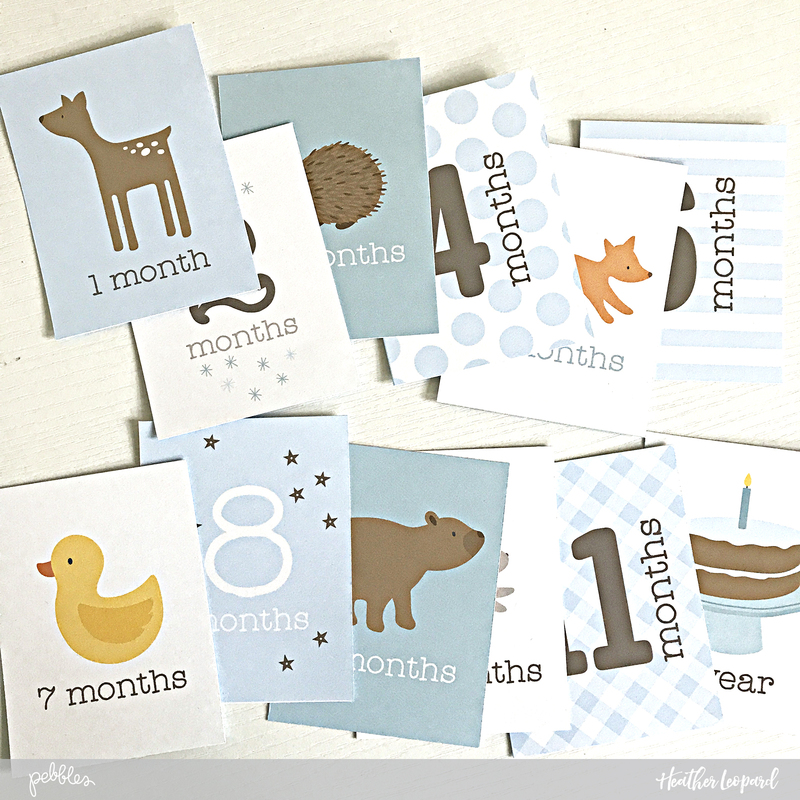 Remember that you can include a set of onesies and monthly onesie stickers that match the album. What do you think?